Maintaining good hygiene is about more than looking good-- proper hygiene is one of the keys to a healthy lifestyle. By taking regular care of your body you can prevent disease, smell better, and feel cleaner without hours of effort or expensive products. Read on to learn about simple habits and hygiene acts that will keep you clean every day. 1. Brush your teeth twice a day. Even if you're in a hurry, brushing your teeth will remove bits of food, bacteria, and stains that can cause problems if left to fester. Try brushing once in the morning and once before you go to bed, and spend at least two minutes each time you brush. 2. Floss at least once a day. Your dentist is not lying when he says this is one of the most overlooked hygiene regiments in America. 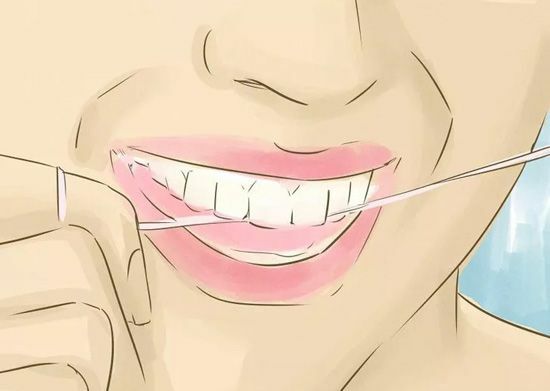 Regular flossing cleans the parts of your teeth a brush can't reach and stimulates healthy gum growth. 3. Schedule regular visits to the dentist. While going to the dentist every six months is not strictly necessary for healthy adults, children and those with dental issues should talk to their dentists about frequent checkups. Monitor your teeth, note any changes or worrisome pains, and get your teeth professionally cleaned at a minimum of once year. 1. Bathe or shower at least every two days. Bathing removes the oils, dirt, dead skin bacteria that you accumulate every day and is essential to having good hygiene. Showering frequently is the most important hygienic habit you can develop for your hair and skin. 2. Take short, warm showers instead of long hot showers. Long showers don't only waste water and electricity, they can clog your pores and dry out your skin. The heat is also tough on your hair. A short shower is all you need and will promote healthy skin. 3. Scrub your body well. Using soap and a loofah, sponge, or washcloth, wash your entire body well to scrub off dirt and skin. This allows new skin to grow and prevents infections or excess bacteria. 4. Do not shampoo every day unless you have very oily hair. Shampoo removes dirt and grime, but it also strips your hair of natural oils needed for clean, healthy hair. Many dermatologists believe it is actually healthier to shampoo every few days than daily. 1. Wash your hands frequently. The majority of food borne diseases are caused by human contamination, and the number one culprits are dirty hands. Protect yourself and people around you by washing your hands for 20 seconds using soap and warm water after using the bathroom, going outside, or handling food. 2. Wash and disinfect your home surfaces regularly. The kitchen and the bathroom build up bacteria quickly, so stay ahead of the game by regularly wiping down your counter-tops, sinks, and toilets whenever they get dirty. Don't leave crumbs or food around your kitchen overnight, as this attracts ants and germs. 3. Keep food preparation areas clean and organized. Always use separate knives, cutting boards, and pans for raw meat, and wash dishes as soon as you can to prevent mold and germs. 4. Open you windows when you can. Circulating fresh air around your house is good for your lungs and prevents bacteria from building up in the air. If you can't open your windows for long periods of time, like during the winter, use an aerosol spray with disinfectant if the house smell stale or moldy. 5. Wash your bedding every few weeks. Oil can build up on the sheets and cause acne and irritations. Dead skin cells, dirt from your feet and body, and bugs can also hang around in your sheets if you don't take the time to wash them. You shouldn't go more than two weeks without washing your sheets. 6. Contain sick family members and disinfect anything they use. When someone in your house is sick the rest of the family are far more likely to become ill if you do not take adequate precautions. Sick people should confine themselves to a small area of the house to prevent spreading germs and should have dedicated dishes, towels, and sinks that are disinfected regularly.